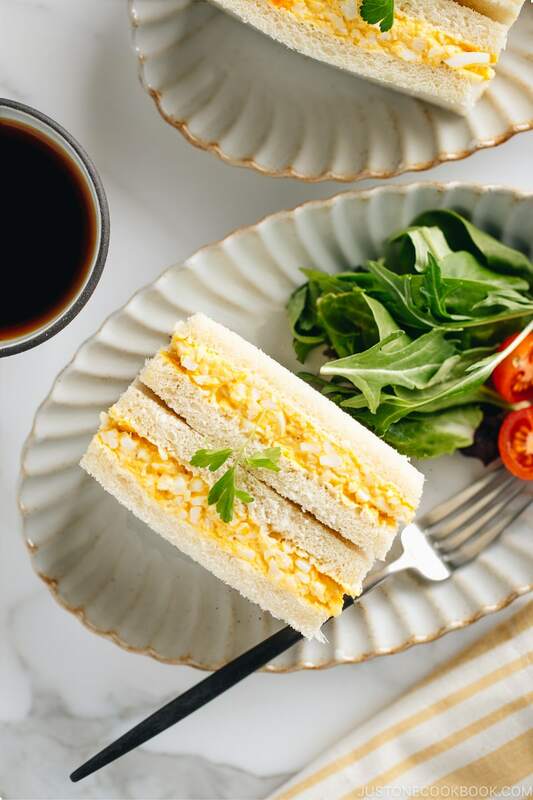 Egg salad tucked between slices of white bread, Japanese egg sandwich or Tamago Sando is a timeless snack you can find in every convenience store in Japan. The filling is creamy and bursting with a rich egg yolk flavor and the bread is soft and pillowy. Some claim it’s the best egg sandwich they ever tasted. 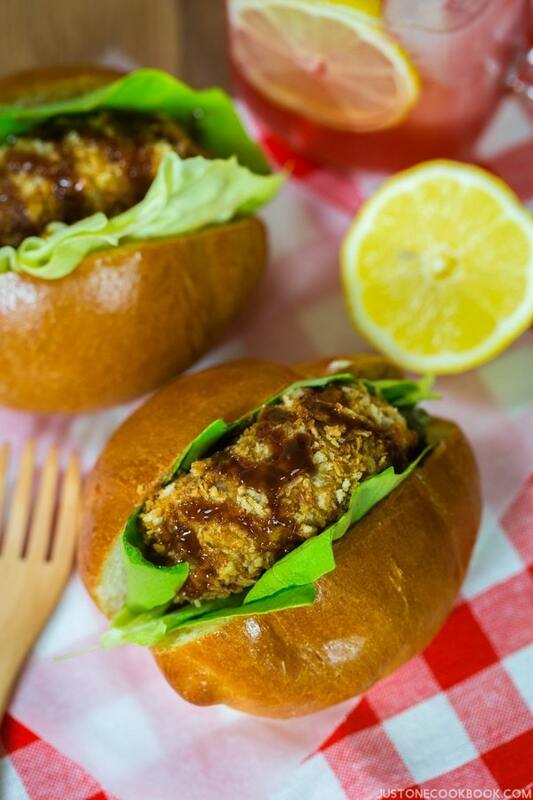 Sandwiches are not a new thing in the world of Japanese cuisine, but they seem to be having their moment right now. 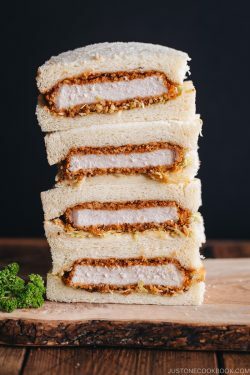 One particular sandwich that makes it to international stardom, which honestly took me by surprise, is Tamago Sando (たまごサンド). It is basically the grab-and-go Japanese egg sandwich that is sold everywhere at conbini/ the convenience stores in Japan. Have you tried it before? I finally understood its popularity when I found out the legendary Anthony Bourdain glorified Tamago Sando over Twitter. “Inexplicable Deliciousness” were his words. 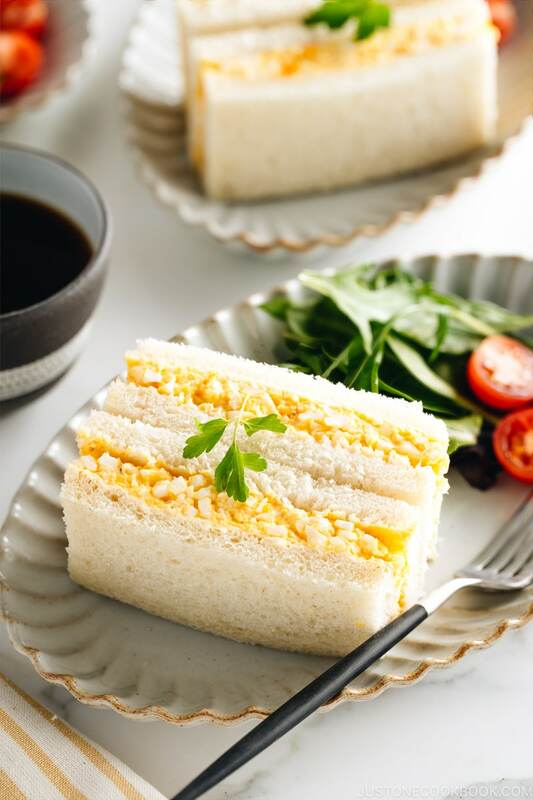 Egg salad tucked between slices of white bread, Japanese egg sandwich or Tamago Sando is a timeless snack you can find in every convenience store in Japan. Tamago (たまご) means eggs and Sando is a short for San-doh- itchi (サンドイッチ) – sandwich in Japanese. You probably heard of both words from Onsen Tamago, Tamagoyaki, Tamagotchi (the nostalgic toy! 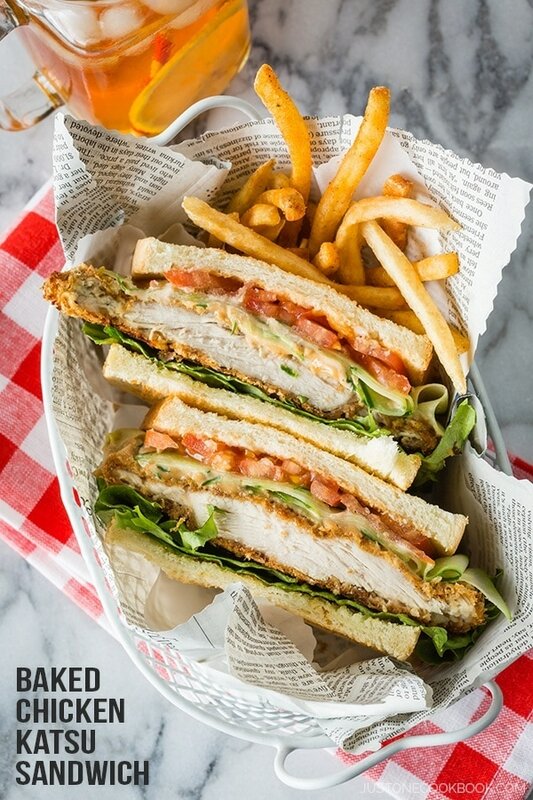 ), and Katsu Sando or Wanpaku Sando from my blog. The egg sandwich is pretty much a homey snack to the Japanese because we all grow up eating it. It is modest, low maintenance, convenience store sort of food. I don’t exactly know when Tamago Sando became so popular internationally, but I’ve been seeing it on the menu of trendy cafes and restaurants in the U.S. 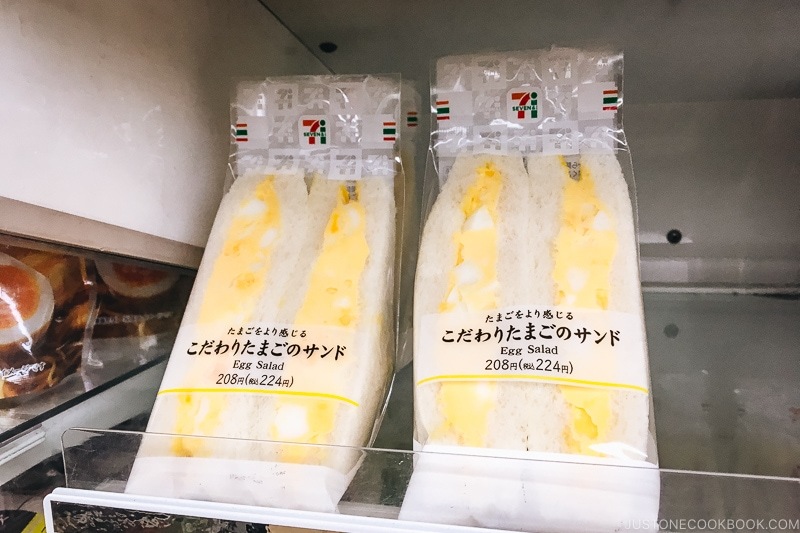 Even Just One Cookbook readers tell me how much they miss the egg sandwich from 7-Eleven and Lawson convenience stores in Japan. Only $2 for each sandwich! You can’t beat that. What’s the Difference between American and Japanese Egg Sandwich? Tamago Sando always uses soft and pillowy Shokupan, Japanese Pullman. The sandwich bread is sweet, milky with a nice bounce, and the crust around the Pullman is completely removed so you get the perfect soft texture of a sandwich. And of course, the mayo. 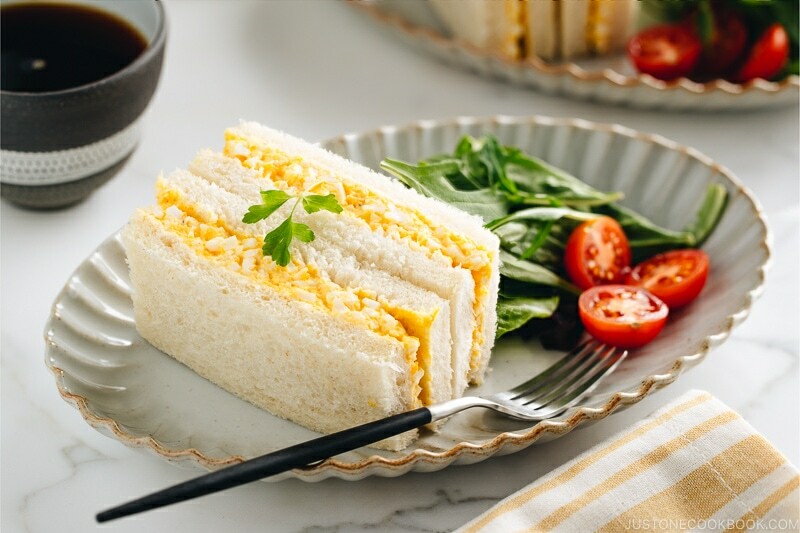 Tamago Sando uses Japanese mayonnaise (with Kewpie mayo being the most recognizable) which gives the egg filling an extra tang and creaminess. If needed, you can use American mayonnaise, but the flavor complexity can be quite different. Many Just One Cookbook readers told me that they won’t go back to American mayonnaise after trying Japanese mayo. If you get a chance, it’s worth grabbing a bottle of Japanese mayonnaise at your local Asian grocery stores (available on Amazon too). Needless to say, eggs are the main ingredients in the egg salad sandwich, and the taste of eggs totally shines through. There is something about Japanese eggs. They are fresh and the yolk is almost orange, and they are so darn delicious. In the US, you can certainly procure some quality eggs from your local farmers market or good quality free range eggs. Use older but quality eggs, not the freshest eggs, if you want to peel the shells easily. Use soft white bread if you can’t find Shoukupan, Japanese Pullman bread. Don’t be afraid to add salt. 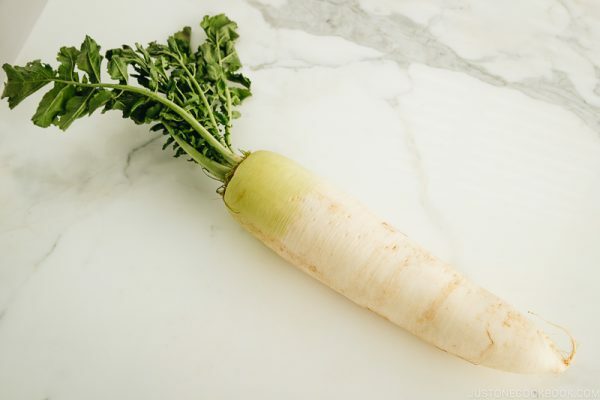 For a simple dish like this, salt plays an important role in bringing out the flavors. If you want your sandwich to taste very much like the 7-Eleven version, add a tiny bit of sugar for some sweetness. Otherwise, you can skip. Don’t skip the butter. It acts as a waterproof barrier so the bread stays dry, not soggy. 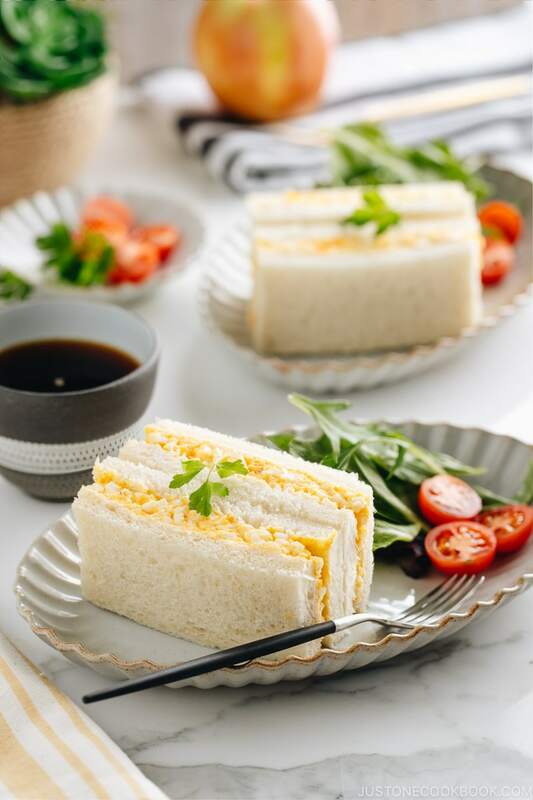 If you are used to eating the 7-Eleven egg sandwich in Japan, this homemade recipe will make you very happy. It is good with coffee or tea, but even better if you enjoy it with a cup of royal milk tea. 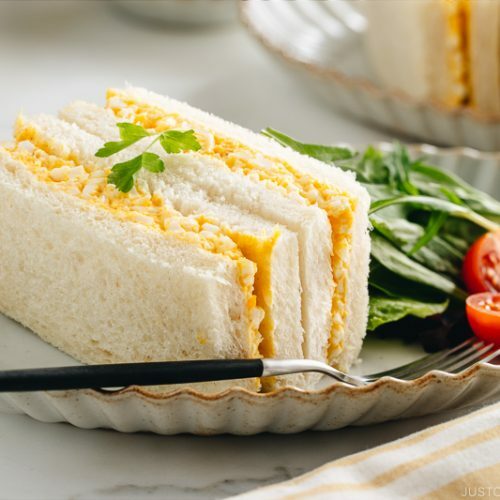 Egg salad tucked between slices of white bread, Japanese egg sandwich (Tamago Sando) is a grab-and-go snack you can find in every convenience store in Japan. The filling is creamy and bursting with a rich egg yolk flavor and the bread is soft and pillowy. Put the eggs in a medium saucepan and pour water till it covers the eggs. Bring it to boil on medium heat and once boiling, cook for 12 minutes. Once finish cooking, transfer the eggs to iced water to stop cooking. Let cool completely and peel the egg shells. Transfer the peeled eggs in a bowl and mash with a fork. Try to mash egg whites into small, same-size pieces. Add ¼ tsp sugar and ¼ tsp salt. Add freshly ground black pepper and 2 tsp milk. Taste and add more salt and pepper if needed. Add 2 Tbsp mayonnaise and mix very well. 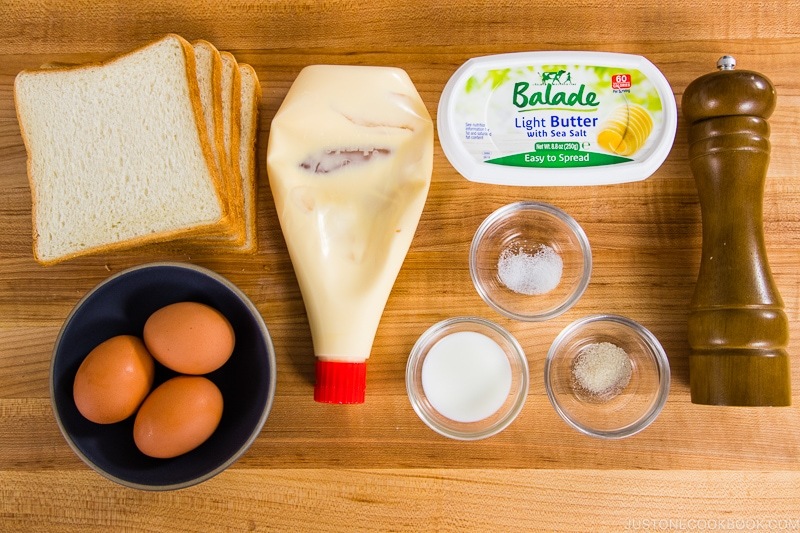 Spread the butter on both sides of bread and evenly distribute the egg salad on one side of the bread. Put the other slice of bread on top and place the sandwich between two plates. Set aside for 5 minutes. Cut all sides of crusts off the bread. Cut the sandwich in half and ready to serve. Make your eggs in the Instant Pot. Regardless of their age, the peel perfect every time. Hi Nami! Love the idea – but I’m not a fan of western-style mayonnaise at all! I find it very greasy. Is Japanese mayonnaise less greasy? Thank you the the great blog! Hi Becky! I’m not a fan of western mayo too…and I never thought Japanese mayo as “greasy”. I hope you give it a try! Is there a substitute I could use for the milk? My husband is lactose intolerant and so I have to substitute dairy a lot. I’m not sure if almond milk would taste well in this. Any suggestions? I could leave the milk out, but I would like to keep the consistency and texture of the recipe. Hi Sondra! We use lactose-free milk too as my daughter is intolerant. You can use almond milk, as it’s a little amount, the flavor should not affect much. Hope you enjoy the recipe! Its all about the mayo in this recipe. I couldn’t believe the difference in taste between the American and Japanese mayos. It really does change up flavors and the Japanese version is lighter with more, and very subtle, nuances. Hi Deb! Indeed! The Japanese mayo plays an important role in the Japanese egg sandwich. 🙂 Thank you for reading my post! I haven’t tried it yet but it sounds pretty tasty! I’m definitely going to try this Lord’s Will :-). Egg salad has always been one of my favourite sandwiches :-)! Just as a side note though I wanted to say that American eggs take 15 minutes to be fully cooked, 12 minutes and your eggs will still be partially undone. You can cook them longer but they’ll get a partially grey colour on the outside of the yellow if you cook it for too much longer than that. But it tastes the same as long as it’s cooked no more than 20 minutes. I grew up in Japan and loved our homemade tamago sando. Since we moved back to the US, I couldn’t understand why I don’t love these sandwiches as much. Buying Kewpie as we speak and can hardly wait. I was salivating reading this post. I have a Pullman pan and have been baking Shokupan off and on for the last 6 months. This will be a perfect pairing! I bought some bread flour today and plan to bake Shokupan tomorrow, in time for some Tamago Sando for dinner. Thanks for the recipe! Do you have any recipes for Tuna Sando? Thank you for this recipe! It’s so simple, but delicious. 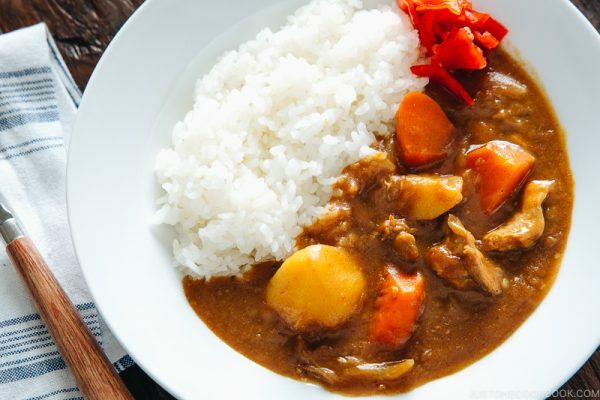 It brought back recipes of the great konbini food we had in Japan. Hi Nami! 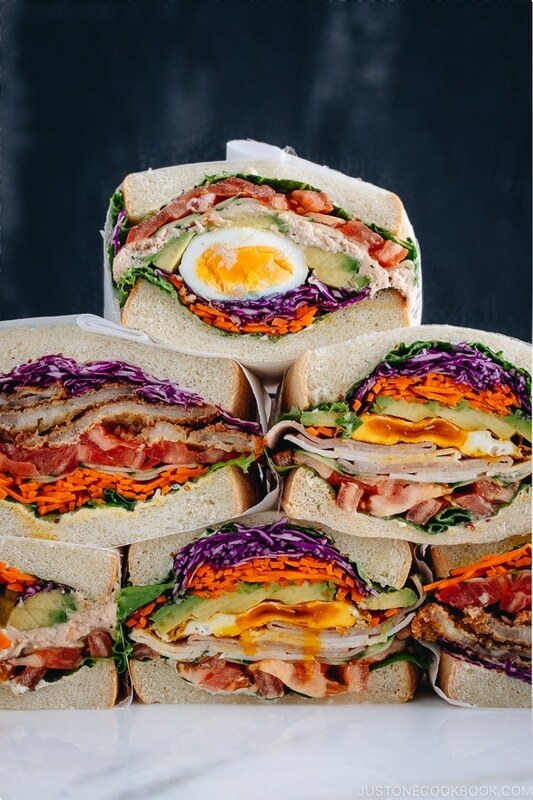 The Japanese Egg Sandwich was my favorite sandwich when I was growing up…and I still make it to this day! Occasionally, I would mix in a small can of tuna or sliced olives (and sometimes both) to the egg sandwich mixture! Yum! Hi Gene! I’m so happy to hear you like Tamago Sando too! Ohh tuna and olives! Great addition! Delicious! Fantastic, I love the recipe.